The Arrive Alive online initiative seeks to increase road safety awareness and reduce the carnage on our roads. We report on road crashes and offer recommendations and advice on how these crashes can be prevented. In recent weeks we have received numerous reports of road crashes involving motorcycles / motorbikes and scooters. Admittedly many of these crashes are caused by other road users not sharing the road safely with motorcyclists. 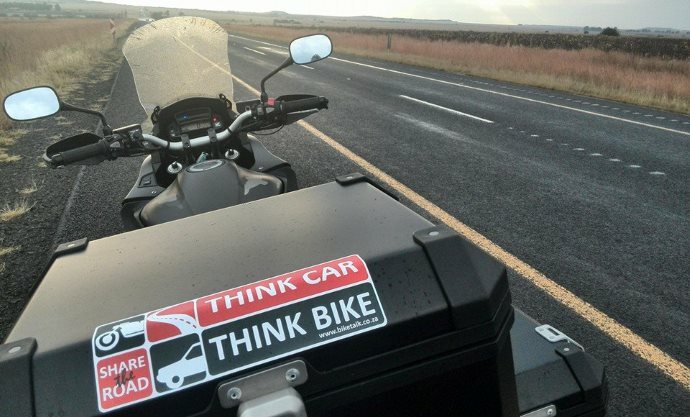 We should however also confess that bikers are not without blame – they too often go on the road with the wrong attitude towards safety and the capabilities of both the rider and his/her bike! 1. Are you a higher risk-taker than others you know? If you tend to need a thrill while driving a car and have aggressive or risky tendencies (following too closely, turning without signalling, talking on a cell phone, getting angry at other drivers, etc. 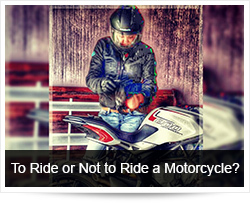 ), motorcycling may not be for you. 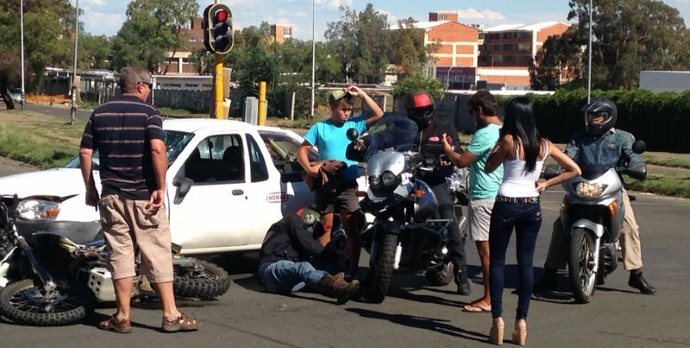 While motorcycling improves the overall quality of life for many, for some it can lead to disaster. Thinking that an accident only happens to others is an attitude that will get you in trouble. 7. Do you respect machinery and other equipment that has risk? For example, when using a lawn mower or chainsaw, do you maintain it properly and wear eye/ear/hand protection when needed? If you’re not serious about safety in connection with simple machinery and equipment whose improper use can lead to serious injury, you may not respect motorcycling enough to follow safety precautions. Successful riders know that safety isn’t a matter of luck, but a matter of doing the right things to minimize risk. Now go and think long and hard about this, don’t just take advice from a sales person, friend or family member, speak to an expert. When you decide, do it the right way from the start – Get Trained!